The Real ID is here and the countdown clock is ticking to get yours. Without one, you won't be able to board a domestic flight. The idea behind the Real ID is pretty straightforward - have a new form of ID that's more secure - but the details on how to get one can be confusing and they vary by state. Here we've taken 10 states that are issuing the Real ID and details the specifics you need to know to get your Real ID. The state's we've detailed in this post are: California, Georgia, Maryland, Massachusetts, New Jersey, New York, North Carolina, Pennsylvania, Virginia, and DC. Is the Real ID a Requirement? If you don't have a valid passport and plan to fly anywhere nationally, YES, you need a Real ID by 2020. According to the Real ID Act, everyone in the United States will need a Real ID in order to get through TSA security at the airport. Though the Real ID is a federal mandate, each state is in charge of how they issue the Real ID's. This means there are differences by state you'll need to know. 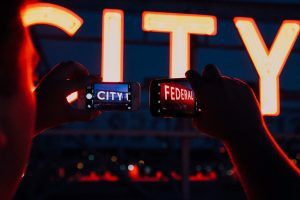 For example, many states are already compliant and issuing Real IDs, while other states are allowing you to Pre-Verify with the IDs coming soon. When is the Real ID deadline? The deadline is October 1, 2020. With millions of Americans needing to get a Real ID before this date, DMVs around the country are expecting to be jammed up for months. The Real ID paperwork requires an office visit, so you won't be able to just do everything online. Now is the time to get your documents together, get to the DMV and beat the long lines. *See the end of the post for a list of acceptable documents to prove each of these. You'll need the documents listed above including 2 forms of proof of address. In California, we strongly suggest making an appointment for your Real ID since the walk-in line (which is an option) can take hours. Here's a much more in-depth post on getting your Real ID California. The fee is $36 so bring a debit card or cash as credit cards aren't allowed. In the District of Columbia, you can't book an appointment online, so you'll need to do a walk-in at a DMV office. Here's the District DMV office locator. Bring your 3 documents. The fee is $20-47 depending on if you're getting a Driver or Non-Driver ID. The Brentwood DMV branch does not accept cash, so be sure to bring a debit or credit card there. 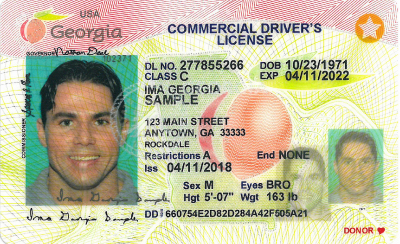 In Georgia, the Real ID is also referred to as the 'Secure License ID/ID', so you may see it listed that way too. You'll need your 3 documents. You can't book appointments online, so you'll have to do a walk-in at a Georgia Department of Driver Services office closest to you. The fee is $32, so bring cash or your debit or credit card. In Maryland, you can book an appointment online and you can start the Real ID application process here. You'll need your 3 documents. The fee is $25 for duplicates and $50 for new Real ID's, so bring cash or a credit or debit card with you. You can find the nearest Motor Vehicles Association office here. You can make a DMV appointment online in Massachusetts and you can start your Real ID application here. You'll need your 3 documents. The Real ID costs the same as a driver's license and the fee is $25 for duplicates and $50 for renewals, so bring cash or a debit or credit card. New Jersey is currently doing Pre-Verification for Real IDs, with the actual IDs expected to come in March 2019. We recommend you start the process now, beat the long lines and get your documents verified at the DMV. You'll still need to bring all 3. Then once the Real IDs are available, you can simply order yours online. You can't book appointments online in New Jersey, so you'll need to do a walk-in. In New York, you can't book an appointment online, so you'll need to do a walk-in. Here is a New York DMV offices locator. You'll need your 3 documents. The fee is $29.50 - $30.50, so bring cash or your debit or credit card. You can't book an appointment online in North Carolina, so you'll need to do a walk-in. Here is a North Carolina DMV offices locator. The fee is $13, so bring cash or your credit or debit card. Like New Jersey, Pennsylvania is also currently doing Pre-Verification. There are no online appointments, just walk-ins. So bring your 3 documents to any PennDOT driver's license center. Then when the real IDs are available in March 2019, you can simply order yours online. You'll need your 3 documents. You can start your Real ID application online here before visiting the nearest DMV location. The fee is $2 per year and you can pay with cash, credit card or debit card. *Note: All information and fees current at the time of publication. For Federal Real ID state compliance updates, you can visit the Department of Homeland Security here.